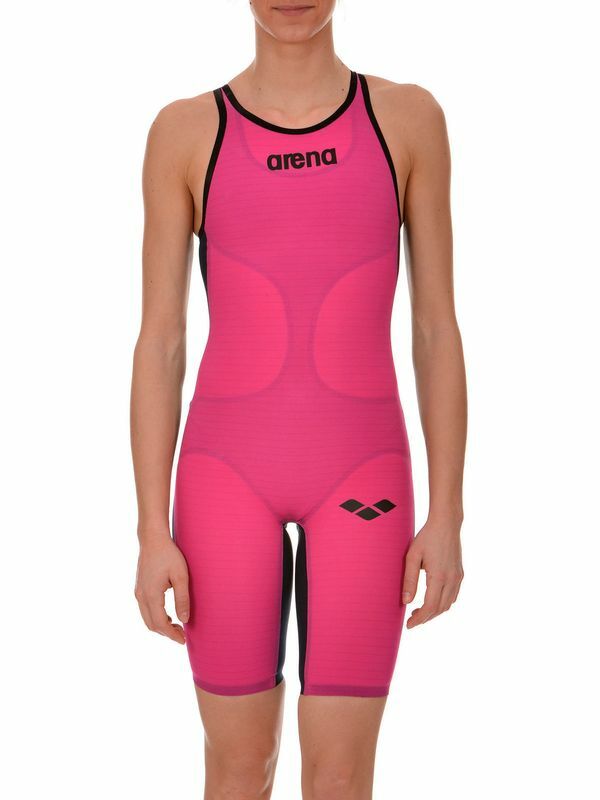 Arena Powerskin Carbon Air Kneelength Fuchsia brings the benefits of Intelligent compression coupled with an unbelievable lightness of the suit provided by a sleek construction and, for the women, a new smart stretch shoulder strap that makes it extremely comfortable. By integrating Carbon Fibre Bands into the horizontal weave of the ultralight Carbon Air, the full power of Intelligent Compression is unleashed. These superior features combine to make the Carbon Air especially easy to put on. Carbon Air is a state-of-the-art suit that delivers the benefits of Intelligent Compression with the comfort of a second skin. Powerskin Carbon Air Kneelength Fuchsia is manufactured by Arena Swimwear, the Official Swimwear & Equipment Partner to Swimming Australia and the Australian Dolphins Swim Team. For over 35 years Arena has equipped the world’s leading swimmers and lovers of watersports with racing, training, and leisure swimwear and accessories built on a foundation of in-depth research, technical know-how, and an unyielding commitment to quality. Arena is the authentic waterwear brand for athletes and real sport lovers. Wherever there are water sports, there is Arena.